Pelicans are nesting on the Slave river, near Fort Smith, Northwest Territories. During all summer it is quite common to see these beautiful birds fishing near the rapids or resting on the rocks. I took this photo few moments after the sun set. 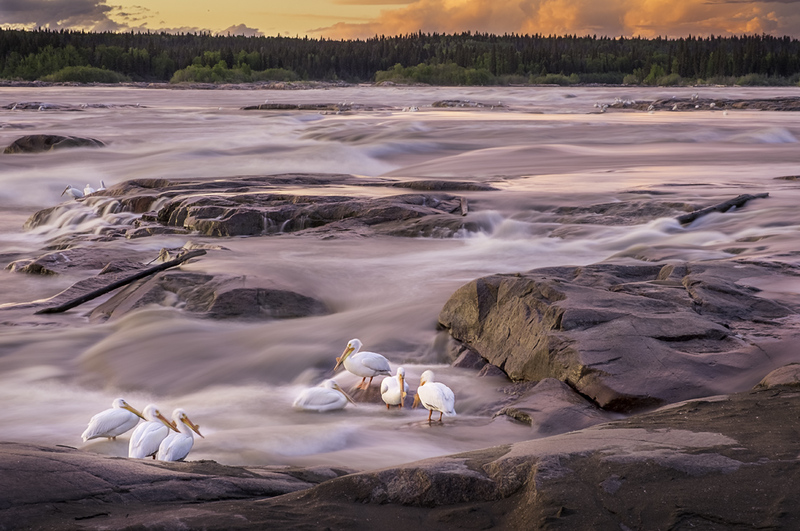 Pelicans rested immobile on the rocks contrasted with the ragging rapids around.